Want to expand your vocabulary? Impress your friends by dropping unusual words into casual conversation! 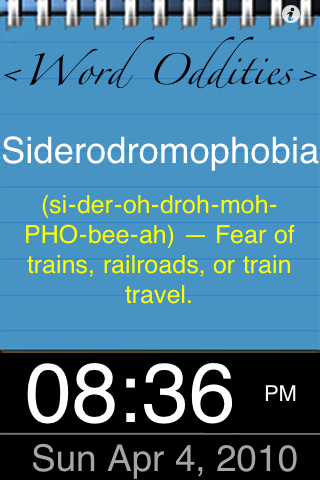 Learn a new word every day!! 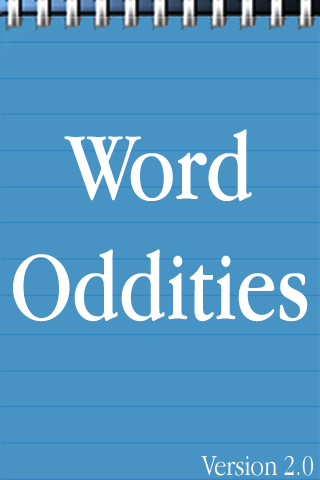 Word Oddities has a dictionary of hand picked unusual words (and of course their meanings), one of which will appear randomly at start-up. 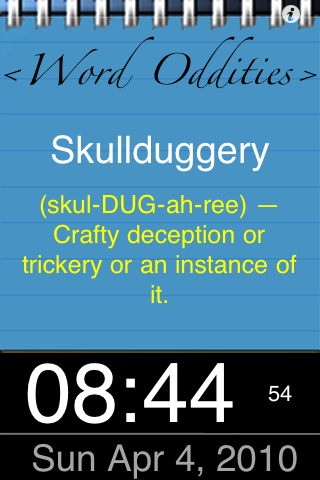 Shake the device for the next random word to appear or click the "Word Oddities" text at the top of the screen! - Clicking on "Word" goes back a word and clicking "Oddities" moves forward! You can even test your knowledge by swiping left on the word to enter hidden meaning mode! Swipe right to show the meaning again. You can also run Word Oddities on a docking station as a fully working clock. The display won't dim and the app won't go to sleep. A new random word will silently appear on the screen every 2 minutes. Click on the time display to swap between AM/PM and Seconds display. 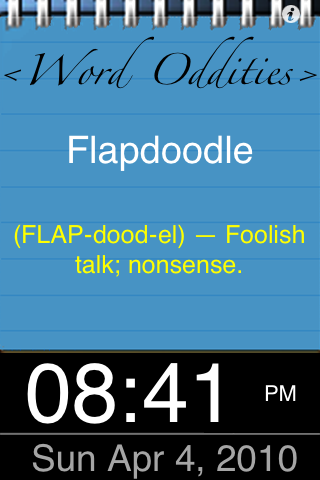 Compiled for iOS 4.2 - multitasking support added.